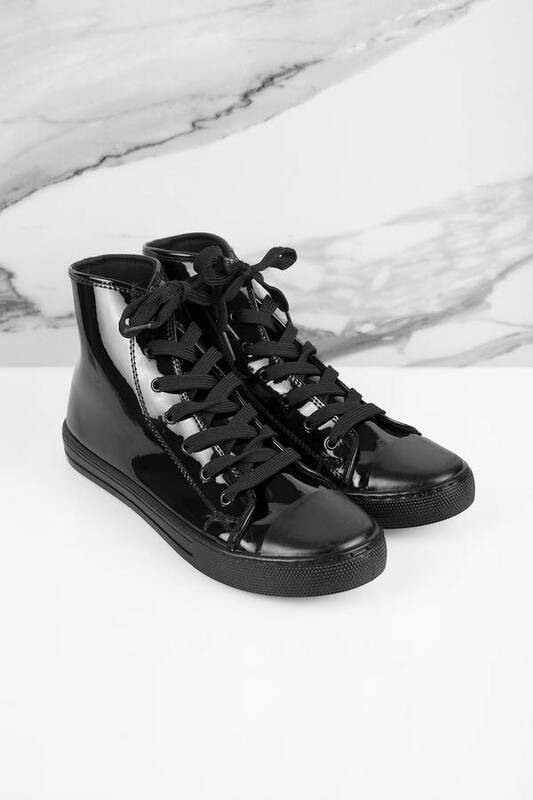 Check out Tobi's Jordana Patent Leather High Top Sneakers Get on trend with our Jordana Patent Leather High Top Sneakers. 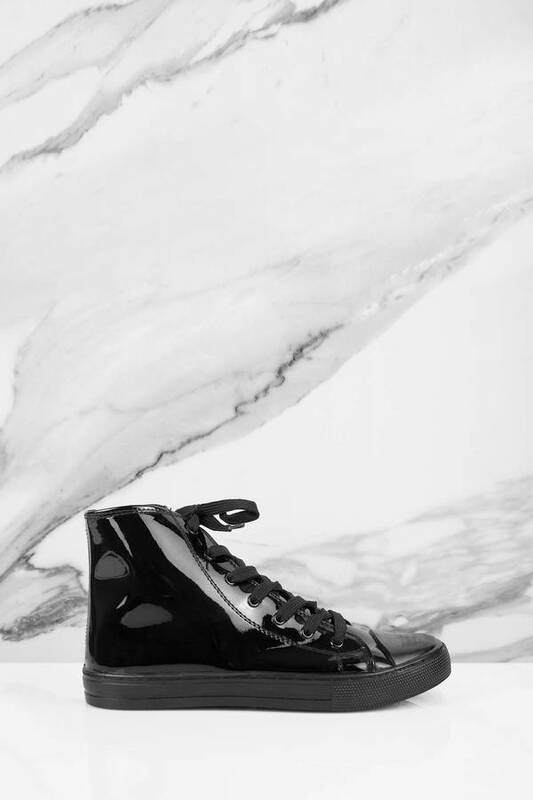 Pair with track pants and a crop top for the ultimate athleisure look! 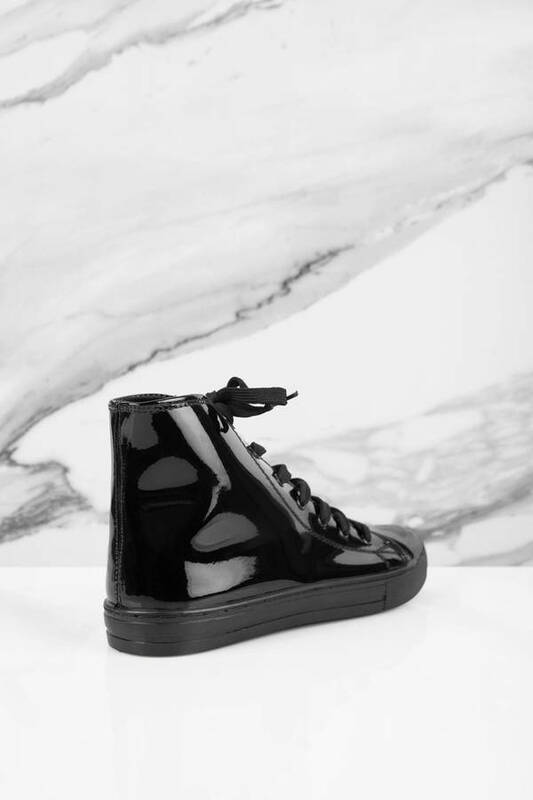 Get on trend with our Jordana Patent Leather High Top Sneakers. 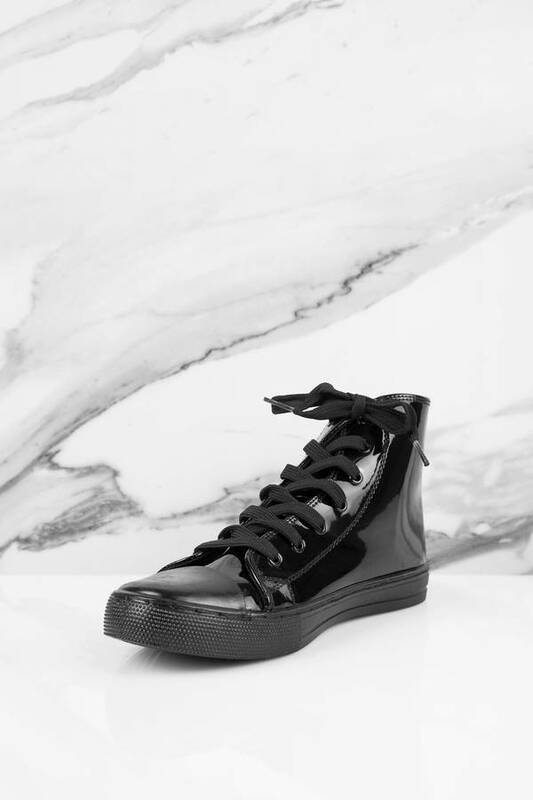 Pair with track pants and a crop top for the ultimate athleisure look!